May the LORD Jesus bless and keep you in His Love, Truth, Grace and Peace until that Blessed Day, Amen! Read more! Evangelicals Sign A Letter Declaring That Allah Is God? All those Muslims, they’re so peaceful. 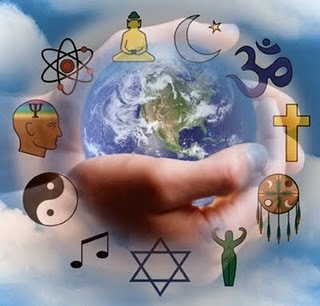 We can get along … the Christians and the Muslims … sing kumbaya … gather together and have interfaith dialogue. The Tony Blair Faith Foundation which is seeking to do that thinks so. In fact sitting right there on the board is none other than Rick Warren … oh it must be true… Even the National Association of Evangelicals …A "who's who" of evangelical Christian leaders, including Rick Warren, Robert Schuller, Brian McLaren, Richard Cizik and Bill Hybels, have signed a letter to the Muslim community entitled "Loving God And Neighbor Together" that openly equates Allah with the Christian God. This letter was in response to an open letter from 138 prominent Islamic leaders entitled "A Common Word between Us and You" which stressed that the "unity of God" is "thus the common ground between Islam and Christianity. "and others are signing on to this Yale signing document stating that Christians and Muslims can get along….because we worship the one true God and love our neighbor as ourself….REALLY? I DON’T THINK SO! Allah and God are not the same….even the Muslims don’t believe that! Both of these letters again and again talk of "God" as if both Christians and Muslims recognize and worship the exact same being. Christians believe in a Triune God (the Father, the Son and the Holy Spirit), while Islam vehemently rejects the deity of Jesus Christ. Instead they worship "Allah" which in reality was an ancient tribal moon god. The title of the Muslim letter, "A Common Word Between Us and You", sounds so peaceful though, doesn't it? The "All-Merciful One" is one of the key names for Allah in Islam. So essentially the Christians are openly praying to Allah and asking for his forgiveness in this letter. There is nothing in the letter about faith in Jesus Christ being necessary for salvation. Nothing at all about the cross. Not only that, but the Christian letter calls Muhammed a Prophet with a capital "P" a number of times. How in the world could Muhammed be a Prophet if he constantly denied the divinity of Jesus Christ? But this letter from over 300 very prominent Christian leaders openly calls Muhammed a Prophet. That has nothing to do with real Christianity at all. In real Christianity, "our eternal souls" are saved through faith in Jesus Christ. We are persuaded that our next step should be for our leaders at every level to meet together and begin the earnest work of determining how God would have us fulfill the requirement that we love God and one another. By affirming that Allah is God, the 300 Christian leaders in this letter are denying the Triune God of the Bible. The reality is that the Quran denies that Jesus Christ is the Son of God no less than nine times. This letter represents apostasy of the highest order. 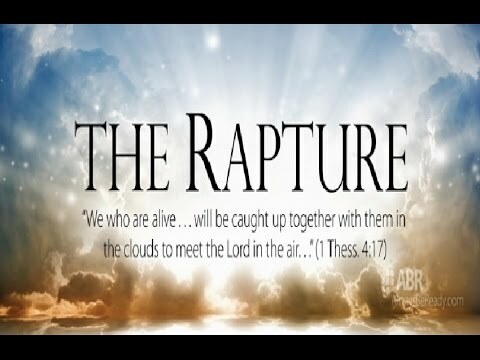 It is another huge step towards the one world religion and one world church of the last days. The Christian ministers who signed this letter have denied their faith and have brought shame to their ministries and congregations. Therefore, we are calling for the immediate resignation of each and every Christian minister that signed this letter. You will likely recognize quite a few names on that list. Please share this with your family and friends, and join with us in demanding the resignation of the ministers on this list. Christians and Muslims working together and worshipping the same "god" is not the only hope for mankind. Salvation through Jesus Christ is the only hope for mankind. What a sad state the Church is in. Many questions are beginning to surface as to whether or not leaders of Evangelical Churches including Calvary Chapel are going the way of the Emergent philosophy. For this reason I would like to present a reasonable word of caution, as well as important facts regarding some upcoming events, and the strange new ties between Evangelical leaders and those of the Emergent and New Age philosophies. First let me state that the Emergent/New Age/Positive Thinking/Universalist and Global philosophies that are sweeping the Church are not the Gospel of truth, nor the Gospel message of the Bible! 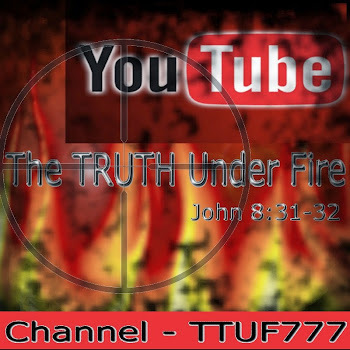 It is deception, it is apostasy and it is a rejection of the God of the Bible and his plan of redemption for mankind! It is a complete mockery of the finished work of Jesus Christ on the cross and his resurrection power that has brought the sinner to salvation. As the organized Christian church and church leaders continue in their plunge toward apostasy, turning their heads and ignoring the truth, it is imperative for individual believers to find out the facts and discern what is of God and what is not. We can no more rely solely upon the leadership to show us what is right…because it is the individual believer’s responsibility to know God’s voice, to be students of the Word, and to know the difference between the biblical truth and false doctrine. If not, rest assured, more and more people will be pulled into the tumultuous winds of deception. As Evangelical leaders continue to compromise, continue to yoke themselves up with those who are preaching a false Christ, a false Gospel message…the Church is becoming confused, splintered and led astray. While the attack on Christianity increases, our biblical values and freedoms continue to diminish and the apostate church and the world’s global religion is ever growing. I feel like a broken record, yet I see friends and family and the Church of God playing Russian roulette with their spiritual lives because they don’t know the scriptures, they have no discernment and they believe the word of man over the word of God. The idolatry in this country has infected even the body of Christ. The Church, those who are in the pews blindly follow men because they have not bothered to develop a living relationship with their Creator and have revered the church leader and not the Lord God of heaven and earth. Take heed Christian friend, take heed! Consider the words of our Lord and Savior, Jesus. I didn’t say it, he did. Recently the very popular Evangelical preacher, John Piper, invited Emergent Church leader Rick Warren to speak at his upcoming Desiring God conference. The idea that Rick Warren is “more doctrinal” than he appears is absurd. Warren’s involvement with Tony Blair’s Faith Foundation and its “North American offensive”, as Blair put it, with a purpose of “uniting all faiths,” should be considered to be the doctrine of anti-Christ, shouldn’t it? We will get into some more of Rick Warren’s teachings a bit later. For me personally, I don’t believe this to be the correct forum in which to find out what makes Rick Warren tick….If John piper has taken a personal interest in Rick outside the scope of prayer, let him do so on his own without exposing the body of Christ to be swayed or deceived by their emotions and false doctrines. John Piper is not the only one making questionable decisions, Rick Warren and co-worker Leonard Sweet are sharing platforms lately with many popular evangelical leaders (e.g., Joel Rosenberg with Sweet at Breakforth, Rick Warren with Greg Laurie and Chuck Smith at Harvest Crusade, Calvary Chapel pastor Skip Heitzig with Leonard Sweet at Heitzig’s church (later this summer). For those who don’t understand the “new” spirituality and the hoped-for “new reformation” of Rick Warren and Leonard Sweet, maybe it is a good time to research this out. In March, Lighthouse Trails reported that this coming June, Calvary Chapel Albuquerque (a veteran Calvary Chapel church pastored by Skip Heitzig) will host the National Worship Leader Conference in Albuquerque, New Mexico and will feature New Age sympathizer and emerging church leader, Leonard Sweet. The NWLC event will take place in three different U.S. locations with Sweet participating in two of them. Though there have been many conflicting stories regarding this….including the story that Dr. Sweet will not be speaking, that the leadership of CC Albuquerque had no idea that he would be speaking, and that perhaps the whole conference would be scrubbed, I can tell you that as of today and according to Calvary Chapel Albuquerque’s website on their upcoming events page, Dr. Leonard Sweet will be speaking at their upcoming church sponsored National Worship Leaders Conference. If you scroll down to about the 17th event…National Worship Conference…there is an audio promo posted which states that Mr. Sweet will in fact be speaking. Though Calvary Chapel has denounced the teachings of the Emergent Church and Contemplative Prayer, one has to ask the very obvious question of why they are teaching along side some of the leading pastors of such New Age and apostate doctrines at scheduled events. It has been reported that after discussions with other Calvary Chapels pastors, Skip Heitzig had denied knowing about Dr. Leonard Sweet being a guest speaker at this event. He also claimed that he had not been informed of those who would be speaking at his church, and that he would cancel Leonard Sweet as a guest speaker; in fact, he said that he was thinking of “pulling the plug” on the event. Well, according to their church website, the event is still on (as of this date anyway) and the audio promo clearly states that Dr. Leonard Sweet is a guest speaker. Also, after some research through the many archives on the internet…there doesn’t seem to be any confusion to me as to whether or not Calvary Chapel’s plea of ignorance is true or not. As far as I can tell, though NWLC is not an exclusive CC event; both Calvary Chapel pastors and Leonard Sweet have all spoken at this annual event for the past 3 years. So it is not a stretch of the imagination to conclude that Skip Heitzig and staff have full knowledge of who the invited speakers will be, including Dr. Leonard Sweet. At the 2009 National Worship Leader’s Conference held in Kansas City, Greg Laurie and Leonard Sweet both spoke at the event. After finding this information, I searched a bit further to see just how many years Calvary Chapel had been attending and speaking alongside Emergent Church leaders at this event. I won’t post all of the research, but it was very curious to find that at the 2008 NWLC, which was held in Austin, Texas, it was Skip Heitzig and Leonard Sweet speaking at the same event. Skip Heitzig also wrote about the 2008 event on his own blog. Clearly, Calvary Chapel has full knowledge of the type of event, the speakers of the event and have been apart of the event for years. My question is, why? Why the compromise? Listen, we are not trying to vilify Calvary Chapel, but we do want to know what the truth of this matter is. Are they going the way of the Emergent Church, or are they compromising because of ignorance? Perhaps it is this New Age quest and obsession of replacing the “old ways” for the new “relevant ways”… in my opinion this third is a very slippery slope indeed….the Church has compromised and compromised. The word has been watered down, changed and now is unrecognizable…all for the sake of the worldly philosophy of being relevant and MEGA popular. Whatever the reason, it is clearly wrong to compromise, and it is leaving the impression that there is nothing wrong the the teachings and philosophies of the New Age Movement and the Emergent Church. Who is Dr. Leonard Sweet? "A sea change of transitions and transformations is birthing a whole new world," wrote Dr. Leonard Sweet, whose books are often quoted in Rick Warren's Ministry Toolbox. "God is birthing the greatest spiritual awakening in the history of the church.... Are you going to show up." (Soul Tsunami: Sink or Swim in the New Millennium Culture - Zondervan, 1999). If you love truth, you may want to say no! For in his book Soul Tsunami, Dr. Sweet, a popular leader of the Emerging Church, tells us to flow with the currents of change and leave God's unchanging gospel behind. "Postmodern culture is a change-or-be changed world," he continues. "Reinvent yourself for the 21st century or die. Some would rather die than change." (Soul Tsunami: Sink or Swim in the New Millennium Culture - Zondervan, 1999). The new focus is on unity -- a world-wide oneness reflected in the growing union between the East and West. Leonard Sweet's online book, Quantum Spirituality, sheds some revealing light of the envisioned global "church" for the 21st century. In his view, the offense of the cross has been replaced with a passion for interfaith peace and possibility-thinking. To illustrate this point, Dr. Sweet points to Thomas Merton, the popular Catholic author who popularized mysticism and died in Asia searching the depths of Tibetan Buddhism. I would also like to point out that Leonard Sweet while blatantly New Age, he is not the only speaker in question. There are many guest speakers in this upcoming conference who are a part of Saddleback and Willow Creek. Both pastors of both churches, Rick Warren* and Bill Hybels respectively, are graduates of the Robert Schuller School of Church Leadership, and both pastors also endorse contemplative prayer, a 'Christianized' brand of Hindu meditation practices. Yet Paul wrote that, "Christ Jesus came into the world to save sinners" (I Timothy 1: 15), and Christ Himself said that He came to call "sinners to repentance" (Luke 5:32). Yet Schuller rejects the depravity of man which he calls "error" (Self- Esteem the New Reformation,p.162) Romans 3:23 all have sinned. Who is in question here the Bible or Schuller? What made Schuller successful in his ministry? He had found something wrong with the ancient gospel? He now has the new improved modern version. Schuller message can be attributed to how wonderful life can be if we all come together as one and be positive. His preaching is "Gospel of Positiveness and Success". It has been embraced by numerous unbelievers and quite a numbers of Christian leaders as well. Schuller has stated thousands of pastors and hundreds of rabbis and over a million Muslims a week watch his Hour of Power. The only way to please this wide of an audience is to have only positive things to say lest some feet get stepped on. He believes, "God is trying … to build a society of human beings who live out the golden rule" (Self-Esteem p. 135). Bella Stumbo staff writer for the Los Angeles Times, after an extensive interview with Schuller, wrote: "In short, Robert Schuller believes that God placed him on this Earth to preach possibility thinking" ("The Gospel of Success," 5/29/83, Los Angeles Times, p. 24). To Schuller “this message is, vitally important" he at one time wrote: "I believe in positive thinking. It is almost as important as the resurrection of Jesus Christ." (Michael Nason and Donna Nason, Robert Schuller: The Inside Story, 1983, p. 152). Interesting statement considering the fact that positive, or possibility thinking was not mentioned at all by Christ or taught by his apostles. Schuller continues to endorse him by putting Templeton's picture on his Possibilities magazine front cover, and running a major interview with Templeton. In it Templeton articulated his Unity of all Religions beliefs, 'Your spiritual principles attract prosperity to you material success comes ... from being in tune with the infinite.... The Christ spirit dwells in every human being whether the person knows it or not; nothing exists except God." (Possibilities, p. 12 Summer 1986, pp. 8-12.) Templeton has become famous for offering a million dollars from his religious research center that is developing progress in religion. Maybe Schuller would like to be the next recipient. These are the same teachings that Rick Warren and Bill Hybels have submitted to, studied under, and continue to preach in their own churches today! He was asked, 'Dr. Schuller, we hear a lot of talk these days about the New Age, the Age of Aquarius, the type of New Age thinking that we are involved in with Holistic healing and various other things that are part of what is called the New Age. Will you describe the role of what you might consider the New Age minister in the '80s and beyond?'" Schuller states, "It is important to remember that meditation in any form is the harnessing, by human means, of God's divine laws.... We are endowed with a great many powers and forces that we do not yet fully understand. ( He believes these are valid methods for "the harnessing, by human means, of God's divine laws. ..."
TM is religious and is Hinduism, its promoted by the Maharishi who is Hindi, and leads to union with the Hindu God Brahma and to eternal separation from Christ. A variety of meditation is employed by many different religions TM, Zen Buddhism, or Yoga. Robert Schuller can say “It is important to remember that meditation in any form is the harnessing, by human means, of God's divine laws he is essentially promoting another religions practices within the church. It is easy to see how these eastern religious and occult practices came into the Church…..Robert Schuller has been endorsed as a “Christian” pastor by many respected Church leaders (Billy Graham) however, Robert Schuller is anything but a Christian, he is a humanist, a psychologist, a New Age thinker who denies the authority of Jesus Christ and the Word of God….Mr. Schuller is a Wolf in Sheep’s clothing who has led millions away from the Biblical TRUTH of God’s Word! Who else is speaking at the National Worship Leaders Conference hosted by Calvary Chapel of Albuquerque? Matt Maher - is still involved in local church ministry at St. Timothy Catholic Community, as well as helping out with the young adult ministry at All Saints Newman Center on the campus of Arizona State University. Buddy Owens - is Pastor of Spiritual Growth at Saddleback Church in Lake Forest, California. Scott Dyer - is the Pastor of Worship and Arts at Bent Tree Bible Fellowship, in the northern suburbs of Dallas, TX, where he has served since February of 2004. Prior to coming to Bent Tree, Scott spent 14 years on the staff of Willow Creek Community Church and the Willow Creek Association. Stan Endicott - is Executive Worship Pastor at Mariners Church in Irvine, Calif., a large church known for progressive and culturally compelling approaches to worship, communications and ministry. He also consults with churches around the country and continues to work with established and up-and-coming recording artists in music production. Stan is a mainstay at Arts and Worship conferences at Willow Creek Community Church in Barrington, Ill., and at Saddleback Church in Lake Forest, Calif., where he also directs the worship choir. Curt Coffield - Curt is committed to helping others worship. He is the Pastor at Sewickley Valley North Way Christian Community in Pennsylvania. Formerly, Curt served as Worship and Teaching Pastor at Resurrection Life Church in Grandville, Michigan; as Worship Pastor at Shoreline Community Church in Monterey, California; and as Worship Director at Willow Creek Community Church in South Barrington, Illinois. As a member of Integrity Music's band PK7, Curt led worship for Promise Keeper events in arenas around the country for several years. Tony Guerrero - is currently serving as the Director of Creative Arts at Saddleback Church, where he leads a mostly volunteer group of hundreds of musicians, singers, and performers in a variety of arenas. Randy Swanson - has been involved in Creative Arts ministry for over 30 years. He has a degree in music from UCLA and a JD from Western States University. He was admitted to practice law in California in 1983. As an accomplished trumpet artist he performs in churches and orchestras on a regular basis. He served as the Executive Director for the Robert Schuller Performing Arts Center. So why are doctrinally sound pastors yoking themselves up with those who teach a false gospel? Are they themselves being deceived? Are they truly God’s under shepherds? Are they themselves wolves? Are they compromising in order to be apart of the “mainstream” mega churches? I don’t know the answer, but I know that there are many warnings in the Bible about the apostasy of the last day’s church. Jesus himself warned us not too be deceived. We must take heed lest we too are caught up in the deception sweeping the church! I would also point out the tie between the Hybels and President Obama’s new “Green Shepherd” and far leftist liberal pastor, Jim Wallis. I listened to a program on Christian Worldview yesterday discussing the Social Justice Movement and how it is infiltrating the Church. Those who are at the top of this big radical environmental and social justice movement include Rev. Jim Wallis…as well as the Hybels of Willow Creek. Background….Mr. Wallis who was head of the Students for a Democratic Society at Michigan State University up until the present time, has been moving in the left wing, collectivistic, communistic crowd for all of these years…and now he is the new spiritual advisor to the President of the United States. The President of the U.S. has given Jim Wallis his marching orders…telling him that now he is going to be the “Green Shepherd” to lead the Evangelical Church into the Whitehouse’s program of Climate Change under the guise of justice and injustice. In January 2005, Democrat Senators met in a closed session with Wallis to figure out how they could use religious language to pull evangelical voters away from the Republican Party to vote Democratic. In addition, 15 Democrat House members made Wallis their guest of honor at a breakfast. His topic was how to turn religious voters in to Democrats. Senate Minority Leader Harry Reid (D-NM) admitted that Wallis was working closely with the leadership to lure religious voters to the Democrat Party. ~~~~~~~~~~~~~~Case in point, Lynn Hybels, the wife of Rev. Bill Hybels of Willow Creek is now writing for the website (Sojourner) of Rev. Jim Wallis, a pro-Marxist. I believe that the apostate church will play a leading role in destroying America and introducing the new-age system of the globalists…world government and religious system. 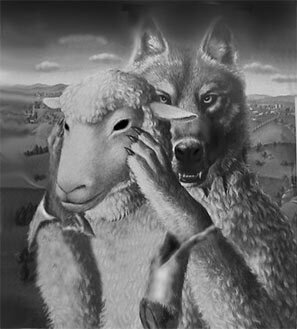 A little know fact about shepherds………they NEVER, EVER, EVER expose their sheep to wolves or any other danger……they feed the sheep, and carefully watch over and protect the sheep……to not do so goes against all that is biblically sound! Out of the fifteen different Bible versions Rick Warren uses in The Purpose Driven Life, he chooses to cite Ephesians 4:6 from a new translation that erroneously conveys the panentheistic New Age teaching that God is “in” everything. According to New Age leaders, this teaching is foundational to the New Age/New Spirituality. (2) Yet of these fifteen Bible versions Warren uses in his book, he chooses the New Century Version that has potentially misled millions of Purpose Driven readers to believe this key New Age doctrine that God is “in” everything. The New Century Version quoted by Rick Warren verbalizes what A Course in Miracles and my other New Age books taught me years ago—that God is “in” everyone and everything. This completely misrepresents what the apostle Paul is saying in Ephesians 4:6. According to properly translated Scripture, God is not “in” everyone and everything, and God’s Holy Spirit only indwells those who truly accept Jesus Christ as their Lord and Savior (John 14:15-17; Acts 5:32). In Deceived on Purpose, I discuss my concerns over Rick Warren placing such great emphasis on Eugene Peterson’s The Message. When I looked up Ephesians 4:6 in The Message, Peterson’s paraphrase (like the New Century Version) also definitely lends itself to the New Age interpretation that God is present “in” everyone. The “as above, so below” God “in” everything “Oneness” message of Eugene Peterson’s paraphrase The Message sounds strikingly similar to the same “as above, so below” God “in” everything “Oneness” message of the New Age/New Spirituality. Such a teaching is contrary to what the Bible teaches. We are only “one” in Christ Jesus when we repent of our sins and accept Him as our Lord and Savior. In The Purpose Driven Life, Rick Warren strongly discourages the study of prophecy. He states that “in essence” Jesus told his disciples: “The details of my return are none of your business.”(11) Contrary to what Warren writes, in Jesus’ discussion on the Mount of Olives, He tells His disciples that an understanding of the details of His return is very important. He provides much needed prophetic information so that His followers will not be deceived about the details of His return at the end of time. I pointed out that the late Templeton had been featured on the cover of Robert Schuller’s Possibilities magazine and was described as “my wonderful role model” by Neale Donald Walsch. In reading Schuller’s past writings, it soon became apparent that Schuller had indeed greatly influenced Rick Warren’s ministry and that Warren often used Schuller’s material without any attribution to Schuller. These are just two of many other examples I found where Rick Warren uses unattributed material from Schuller’s writings and teachings. Rick Warren’s proposed “New Reformation” and his “God’s Dream” Global P.E.A.C.E. Plan are strikingly similar to Robert Schuller’s proposed “New Reformation” and his “God’s Dream” plan “to redeem society.” The only real difference between their basic plans is that Schuller proposed his “New Reformation” and “God’s Dream” plan twenty years previous to Warren. In his 1982 book Self-Esteem: The New Reformation, Schuller called for a “New Reformation” in the church. (23) To accomplish this New Reformation he frequently invoked the metaphor “God’s Dream” to describe God’s “great plan to redeem society.”(24) Twenty years later, Warren was also calling for a “New Reformation” in the church. (25) To accomplish his proposed New Reformation, Warren also invoked the “God’s Dream” metaphor that Schuller had used over two decades earlier to describe his New Reformation and his “plan.”(26) Warren described his new reformational P.E.A.C.E. Plan as “God’s Dream For You—And The World!,”(27) which also happens to resemble the PEACE Plan proposed by Neale Donald Walsch. I do not believe it is just coincidence that Neale Donald Walsch—like Robert Schuller and Rick Warren—is also calling for a New Reformation. Nor do I believe it is a coincidence that Walsch and his “God” identify with Schuller and suggest Schuller’s New Reformation as a prototype for their PEACE Plan. Nor do I believe it is a coincidence that Warren has also used Schuller’s New Reformation as the prototype for his P.E.A.C.E. Plan and that both the New Age and Warren have devised 5-Step PEACE Plans to encourage their mutual calls for a New Reformation. It became evident to me that Rick Warren was incorporating Robert Schuller’s plans and teachings into the Evangelical church. Whether it is “God’s Dream,” God “in” everything, the “New Reformation,” or something else, the non-referenced writings and teachings of Robert Schuller have been gradually introduced into the Evangelical church through Rick Warren. I concluded Deceived on Purpose by stressing that it is not too late for Rick Warren to recognize how he has been influenced by Robert Schuller and by New Age teachings that are taking the church into the New Spirituality. The various quotations were taking from the teachings and publishing’s of those represented in this article. So you tell me, what is wrong with this picture? Why are Evangelical pastors becoming entangled with those who are teaching a false gospel? It is compromise, it is wrong and the Church must not participate in anything that defames the true Gospel message, and presents a false one! It is not the mission of the church to become relevant to the world! 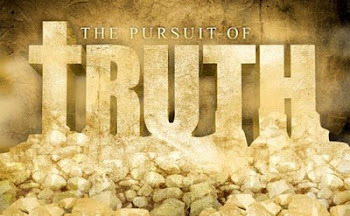 It is the mission of the Church to present the TRUTH! The Gospel according to the Scriptures! It is the will of God that we be not conformed to this world, but to be TRANSFORMED, by the renewing of the mind in CHRIST JESUS! It is important that all true believer’s do their homework! Don’t take my word for it, research what these widely accepted “winds of doctrine” are, and test them according to the scriptures. I will say this again and again, read the scriptures, study the scriptures, know the scriptures, pray for discernment, stand for righteousness, stand for truth according to what God hath said. BE A FOLLOWER OF JESUS CHRIST.